Our next Beer Breakfast Event to benefit The Kind Mouse is well under way to be another record setter! Come as yourself, let your hair down, and hang out with some of the greatest folks in St Pete! We will get messy, but thanks to our good friends at Skyway Supply, Inc., we know how to get cleaned up right using environmentally safe products! Let’s pitch in to help save our planet like our buds at Skyway Supply, a local green janitorial institutional supply company serving the entire USA. I’m proud to say we have raised over $65,000 for local 501(c)3 charities here in St Petersburg, Florida at Beer Breakfast events. This doesn’t happen without great people like Skyway Supply and YOU! Please join us on Saturday, March 9, 2019 at Mandarin Hide as we will lift our glasses, fill our bellies and enjoy the…..Revelry~Fellowship~Sanctuary that is BEER BREAKFAST to support the wonderful work of The Kind Mouse in our community!! A Beer Breakfast event is a great place to meet new friends and share good times with old friends alike. My hat is off to our good friends and returning sponsor, CARRCO Imaging Products! Established in 1996, CARRCO has become one of the nation’s leading imaging supply companies specializing in compatible products that save customers up to 50% compared to purchasing the OEM equivalent. CARRCO is committed to bringing their customers the highest quality products at the lowest possible prices. Adam and his wonderful team have worked hard to provide consumers with quality, service, and value for over 20 years. I’m proud to say we have raised over $65,000 for local 501(c)3 charities here in St Petersburg, Florida at Beer Breakfast events. This doesn’t happen without great people like CARRCO Imaging Products and YOU! Beer Breakfast extends a heart felt THANK YOU! to ADS Services, Inc. for a record 6th year of sponsorship with another very generous donation to benefit our local charity, The Kind Mouse. There’s no better feeling than helping those in need get a warm meal, a shoulder to lean on, or a bit of relief from the stress of a troubled home life. ADS Services is a professional national environmental remediation contractor specializing in demolition, asbestos and lead abatement, mold remediation, indoor air quality, sandblasting, duct cleaning, concrete cutting, and hazardous material removal. ADS Services has been successfully removing hazardous materials for residential and commercial clients since 1987. I’m proud to say we have raised over $65,000 for local 501(c)3 charities here in St Petersburg, Florida at Beer Breakfast events. This doesn’t happen without great people like ADS Services and YOU! Our next Beer Breakfast event is less than 30 days away and will prove to be the biggest and best yet with returning Friends continuing their generous support! With another HUGE donation by brothers Marshall and Rhett at Stevens & Stevens Business Records Management, we are poised for another record year! Stevens & Stevens is now bigger and better than ever with their recent acquisition of another firm and remain committed to providing the highest level of offsite document storage & management services throughout the Greater Tampa Bay area and Greenville, SC since 1994. I’m proud to say we have raised over $65,000 for local 501(c)3 charities here in St Petersburg, Florida at Beer Breakfast events. This doesn’t happen without great people like Stevens & Stevens and YOU! We can’t wait for our next Beer Breakfast event to come to our little hamlet of St Petersburg, Florida! 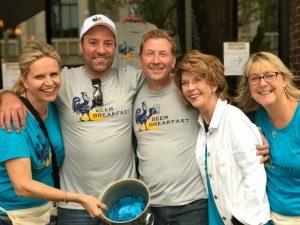 What began as a lark back in 2002 with 5 friends getting together for a round of beers at o’dark-thirty in the morning has grown into an annual gathering of hundreds of like-minded souls eager to enjoy each others company AND raise money for local charities. In keeping with our theme of supporting local non-profit groups, we are proud to announce our support of…. The Kind Mouse at our next Beer Breakfast Event. The Kind Mouse was created by Gina Wilkins, a truly special lady. They are a local 501(c)3 charity introduced to Beer Breakfast by my buddy Todd! With a mission to assist families in transition and their chronically hungry children while developing the next generation of volunteers to carry on the mission of The Kind Mouse. No hardworking individual should ever feel despair due to economic hardships beyond their control. Everyone has a right to feel safe and secure in their own homes, and no one should ever go hungry…. Endorsement Letter from from The Kind Mouse to Beer Breakfast. As we bring hundreds of folks together to celebrate our 19th Annual Beer Breakfast we will lift our glasses in a setting of REVELRY-FELLOWSHIP-SANCTUARY and help support a fantastic local charity who helps families and kids get a decent meal and caring support within our community. Please join us on Saturday, March 9, 2019 at Mandarin Hide as we will lift our glasses, fill our bellies and enjoy the…..Revelry~Fellowship~Sanctuary that is BEER BREAKFAST!! What fun we had this past Saturday morning at our annual Beer Breakfast Event! The friends came, the weather shined, and we crossed the 5 digit mark for event proceeds going to our wonderful friends at Angels Against Abuse. 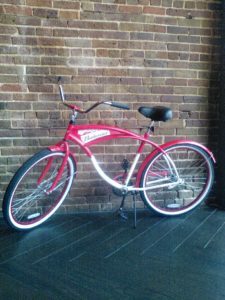 And lo and behold, Patrick from Charlotte, did NOT win the cruiser bike for the 3rd year in a row…. Anne from St. Pete did!! Proceeds from the event going to Angels Against Abuse were an incredible $10,277! Hundreds came, the laughter and spirit were amazing, and we had so much fun raising awareness and monetary support for Angels Against Abuse, our local 501(c)3 charity hand picked to receive the love from Beer Breakfast! We should all be VERY PROUD of this accomplishment and I remain humbled and grateful to all of my family and friends for seeing the value in this silly idea of mine that began with five people in 2002 in the alley behind Mastry’s (thanks Mom!). 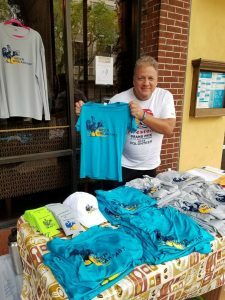 Beer Breakfast events have now raised over $60,000 for local St. Pete charities…. let’s keep it going! We are already looking for Corporate sponsorships for next year with the hope of “matching” sponsors to come on board to really take our efforts to the next level. Please let me know if you can help! Revelry~Fellowship~Sanctuary as we bring good people together for ‘Merriment with a Mission’! 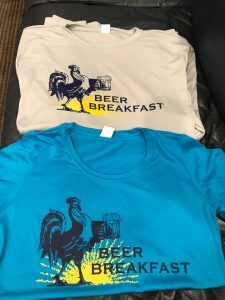 Beer Breakfast 2018 Swag has arrived! Come early for the best selection of Beer Breakfast gear for this year. 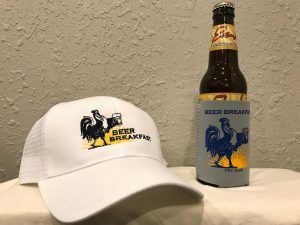 I’m thrilled to announce that with the assistance of Architectural Art and Trinity Graphics we now have Beer Breakfast baseball caps, guys & gals dri-fit shirts, and koozies…. all with our latest logo! I couldn’t do this without so many of my wonderful friends donating their time and talents to our merry mission! Please join us on Saturday, March 10, 2018 from 9am to 2pm at The Mandarin Hide in Downtown St. Pete for our next Beer Breakfast Event. Proceeds benefit Angels Against Abuse, the latest local 501(c)3 charity hand picked to reap the benefits and proceeds of a Beer Breakfast! I’m proud to say we have raised over $50,000 for local 501(c)3 charities here in St Petersburg, Florida at Beer Breakfast events. This doesn’t happen without great people like Bob Lee Tires, Paul Hardin Realty, and YOU! Another Beer Breakfast revelry shout out to Doug and the amazing folks at Great Bay Distributors for their continued support of our Beer Breakfast events! Mandarin Hide’s bathtub will be flowing over with cases of Budweiser Beers distributed by one of the biggest and best companies in our town. Beer Breakfast thanks Bob Lee’s Tire Co. for their amazing support of our Beer Breakfast charity events and for their honest, reliable, and fair service to so many customers in St Pete for over 60 years! I personally take all of my family’s vehicles to Bob Lee’s and you should too! And continued appreciation to our pal, Paul Hardin, St. Pete’s residential real estate guru at Paul Hardin Realty with over 50 years in our beautiful ‘Burg under his belt. 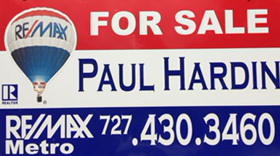 From condo’s to single family homes for sale or rent, Paul has you covered! I’m so blessed to have such great pals to help me raise funds for our local St. Pete 501c3’s. Each day we grow and continue to look for more fun folks to support the Revelry~Fellowship~Sanctuary that is BEER BREAKFAST!! WOW! 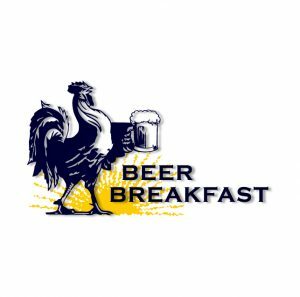 Our next Beer Breakfast event is a little more than one week away!! I want to say a hearty yet humble THANK YOU to all our supporters and Friends of Beer Breakfast who have helped us this year! With a special shout out to my pal, Jon Reno LaBudde at la budde & sons, for all the publicity! Jonny is the first guy I met in this town when I popped into his Reno Beach Surf Shop to ask where I should buy a house way back in 2000…. Jonny Reno rocks! I’m proud to say we have raised over $50,000 for local 501(c)3 charities here in St Petersburg, Florida at Beer Breakfast events. This doesn’t happen without great people like Reno Beach Surf Shop and YOU!